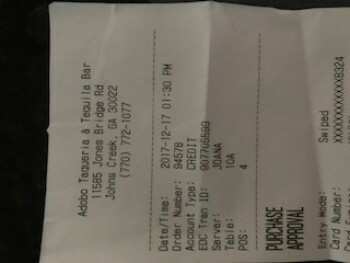 Adobo Taqueria and Tequila Bar, Jones Bridge Road, Alpharetta, GA, United States - Got Food Poisoning? Report it now. “4 families met for lunch at Adobo. Every kid from those 4 families that consumed chicken tenders got sick with fever and vomiting. They had been food poised from the food Adobo sold us.